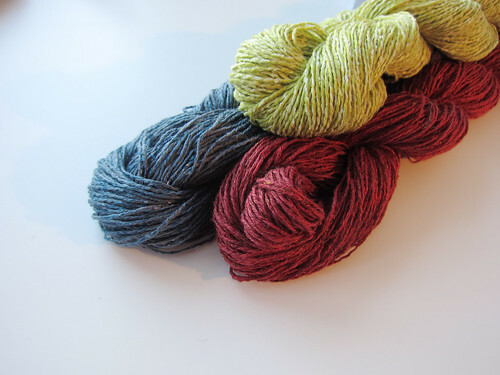 Mmm it’s always fun to play with new yarn! 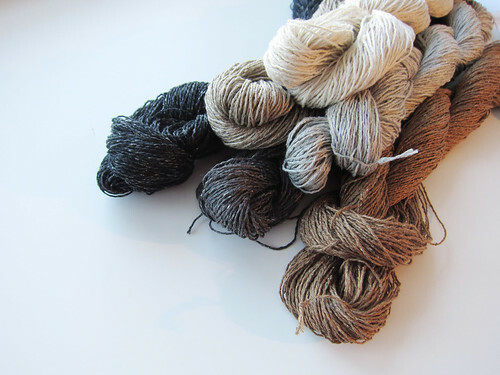 We’ve just brought in some great new stuff from Shibui: Twig. This gives it a stiff-ish hand, bur promises lots of drape and and a lovely hand when washed and broken in. 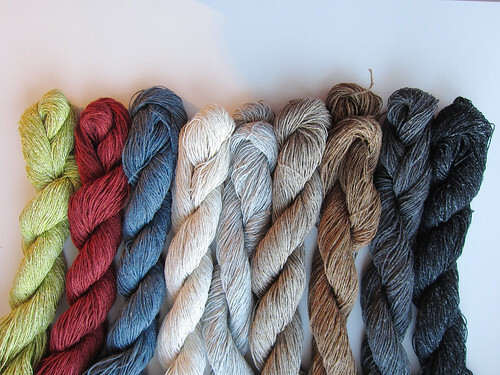 Actually, it makes me think of a few other yarns with similar properties: Habu Merino 4P, Berocco Seduce, and some of the other, ropier linen blends. Twig comes in some great colours, of course. 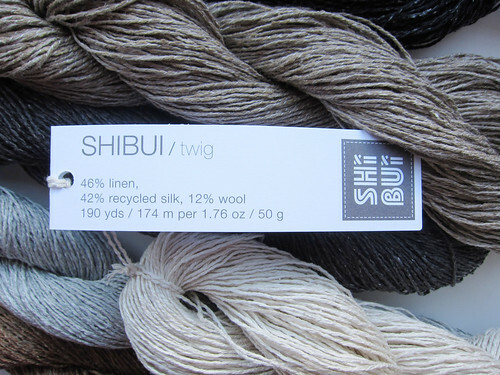 Shibui has a knack for pairing gorgeous subtlety with the off pop of punchy colour. 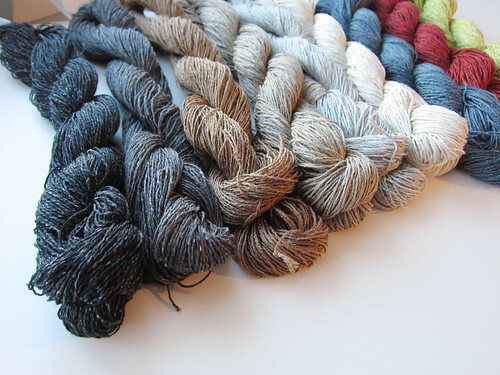 And of course, Shibui has launched a few classy, minimal patterns to show off the yarn. But if none of them take your fancy, we can always help you find the perfect pattern! This entry was posted on Tuesday, April 14th, 2015 at 9:53 pm	and is filed under Uncategorized. You can follow any responses to this entry through the RSS 2.0 feed. Both comments and pings are currently closed.